What a crazy week, but I’ve managed to steal a few moments for a quick blog. I missed the Sunday report, but should be back on track with that this weekend. I quilted a charity top for the local guild this past weekend. It will go to a ranch in Colorado that is being used as a rehab type facility for wounded soldiers. 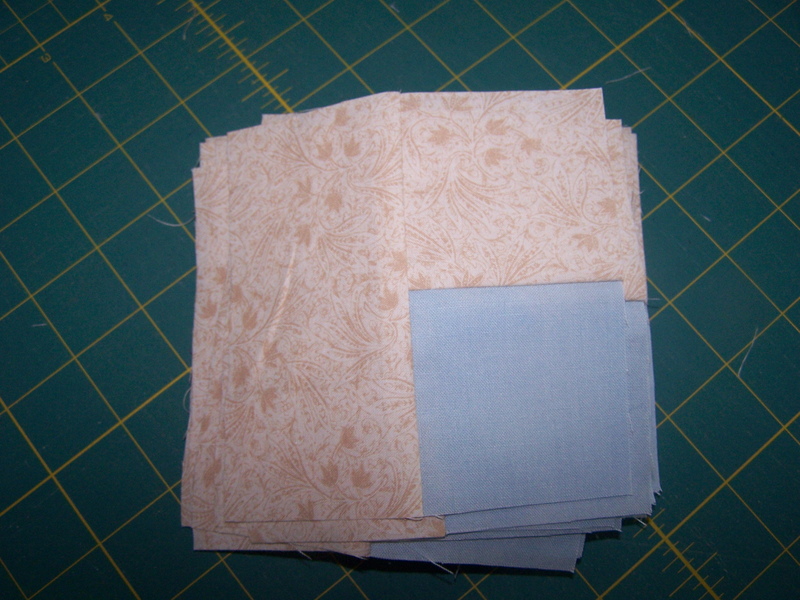 I have started another quilt top…this one for my Dad. It will be a queen size…..drum roll please….log cabin. Yes, another log cabin. I don’t know if I will ever get tired of log cabin quilts. Every one is so different from the last. There are now four tiny eggs in the swallow nest, above my front door. I have to stick a mirror up there to even see into the nest. 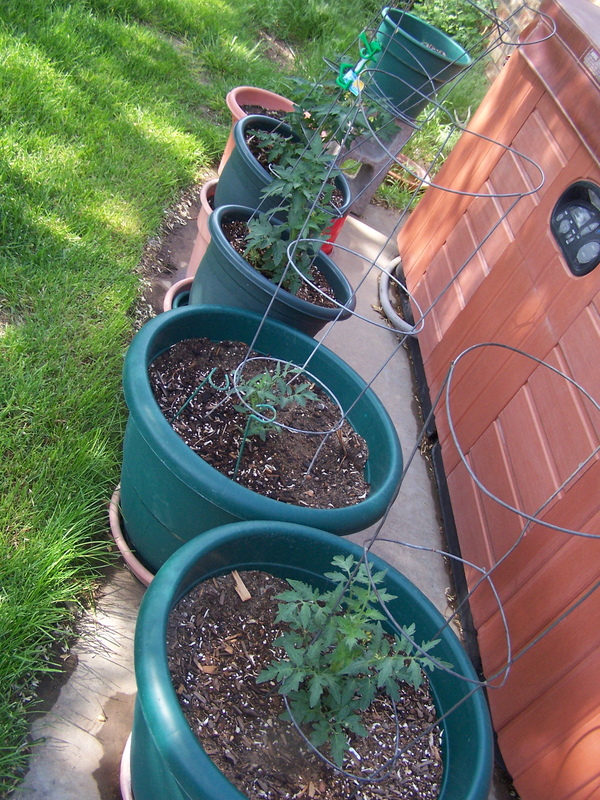 My patio tomatoes are looking good. 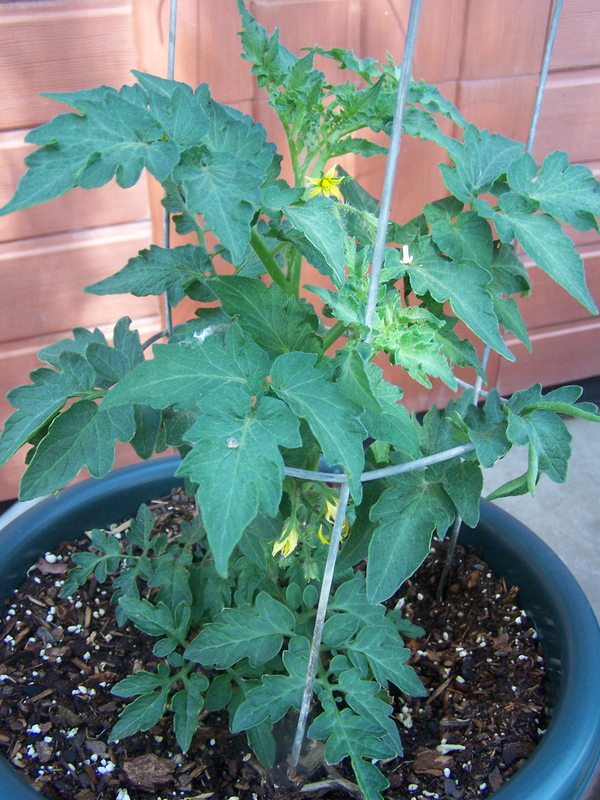 My little grape tomatoes are doing well, also, and even sporting some tiny fruits. 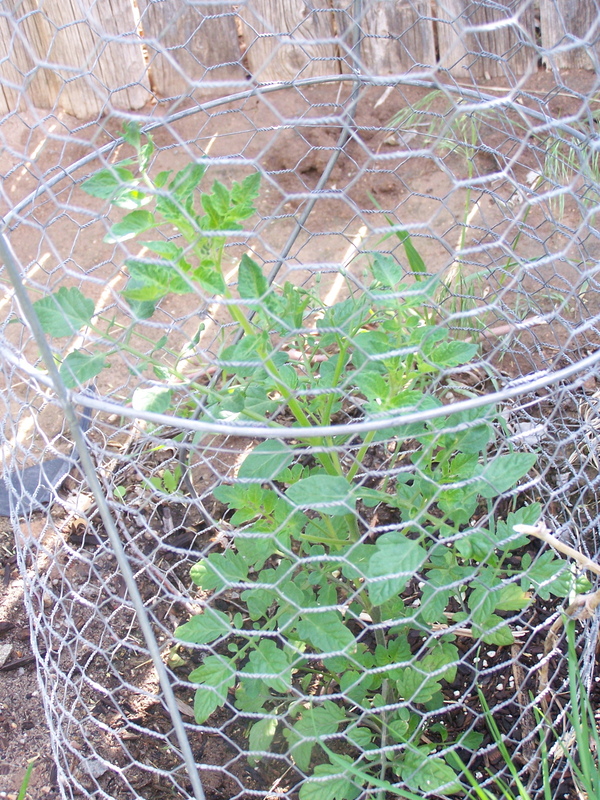 Cherry tomatoes…these were really sickly looking, and I gave them some Miracle Grow, and they perked right up. They were even mostly yellowing, and now nice & green. 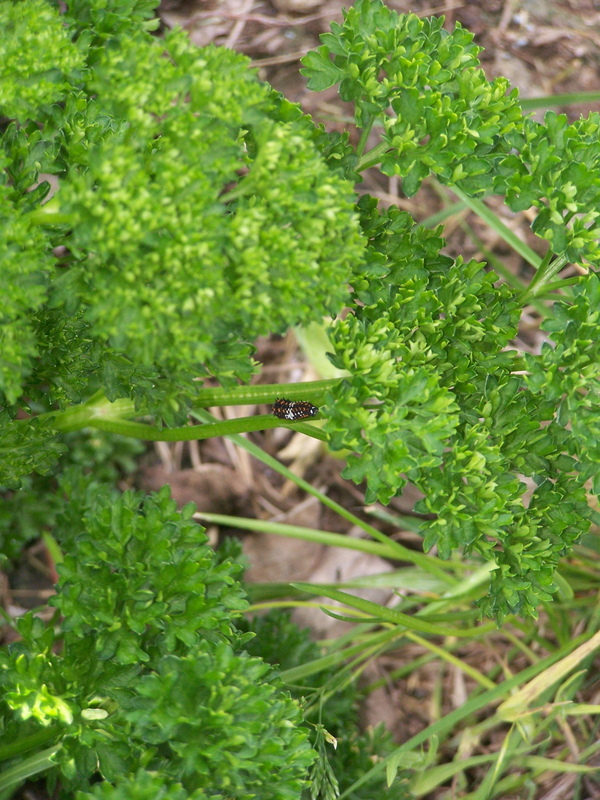 A couple caterpillars on my parsley. These are the cats that turn into swallowtail butterflies. 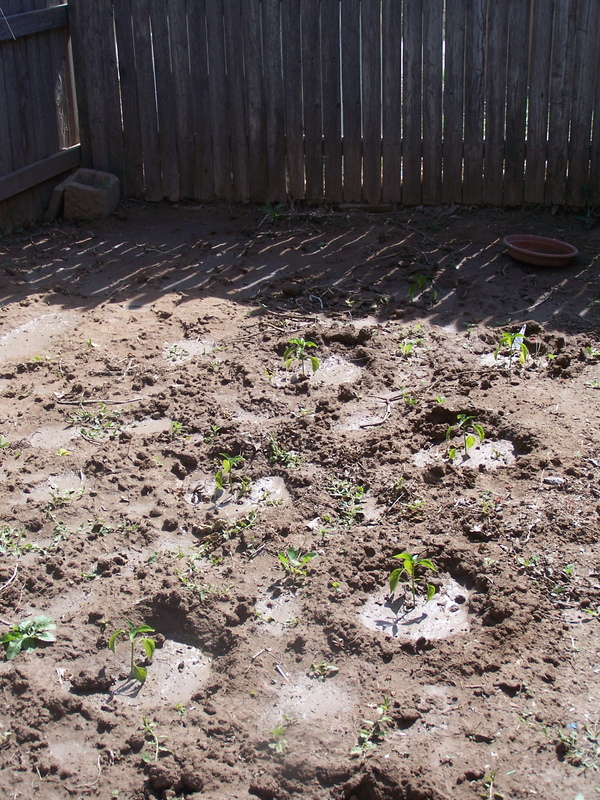 My other garden space, which looks like it’s mostly mud & bindweed right now, but if you look close, you’ll see my Mucho Nacho jalepeno plants. I hope these guys give me a good crop this year. 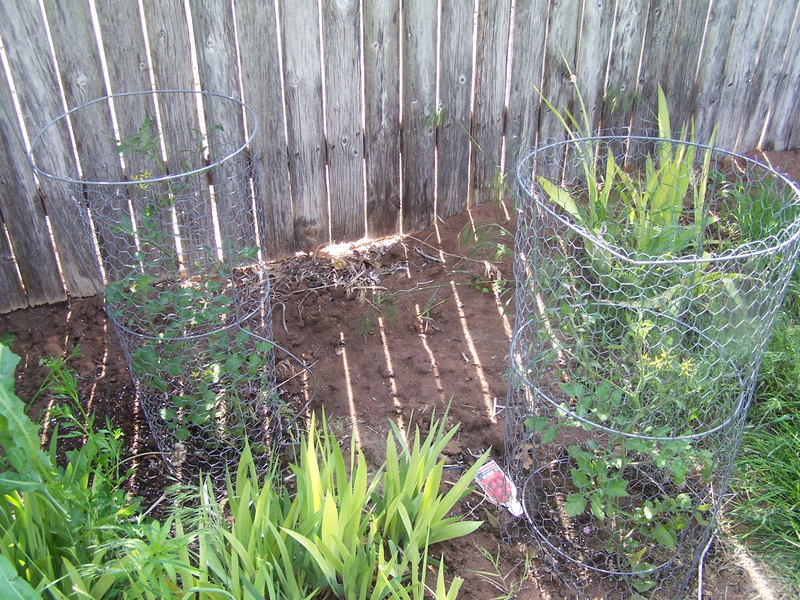 And two more cherry tomatoes. 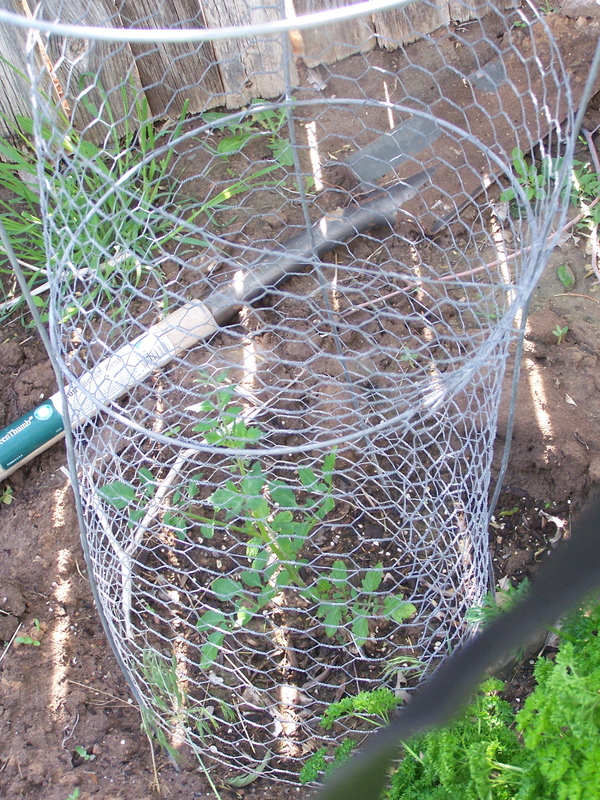 I planted some sweet corn in there, too, and am hoping to see it popping up soon. 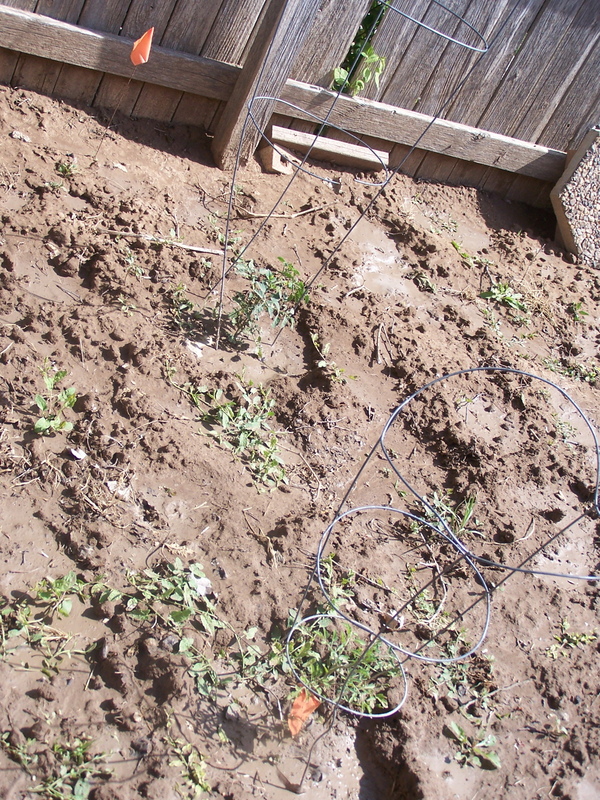 This weekend, I will have to pull more bindweed. Hate that stuff. 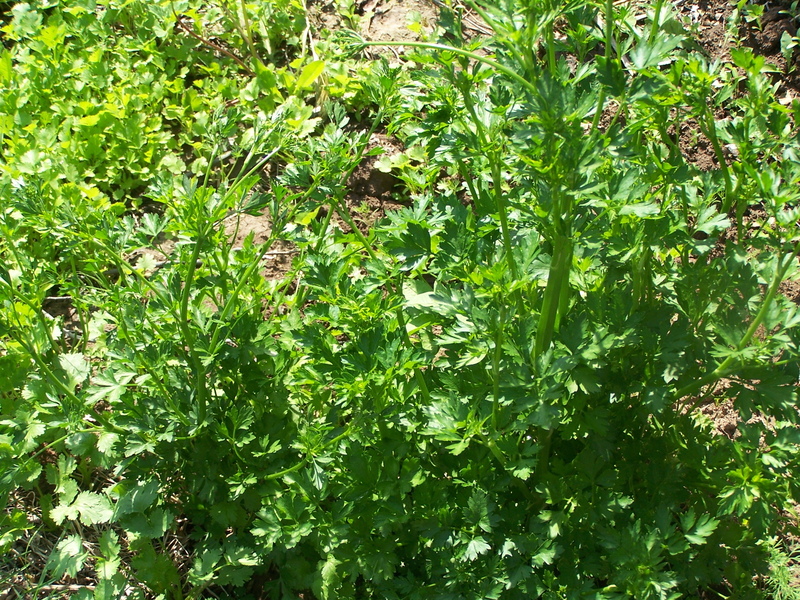 And my cilantro is up & growing great, as always. 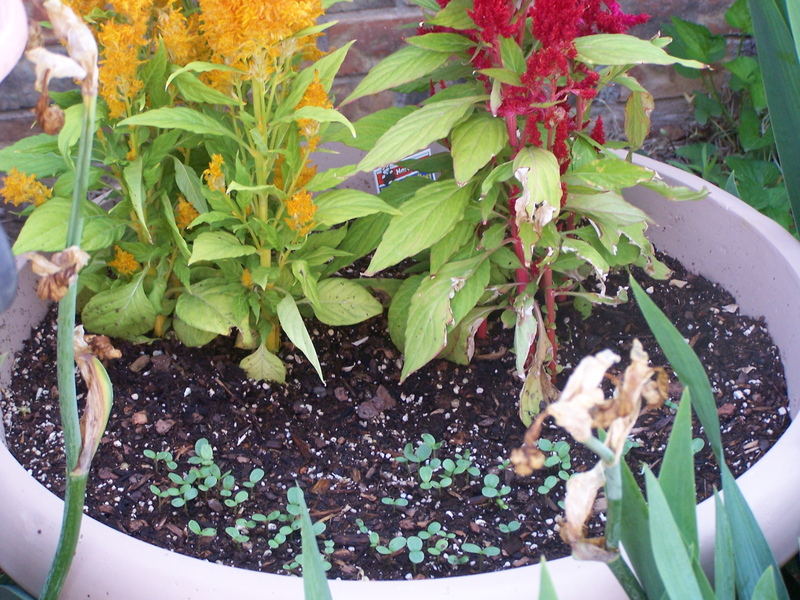 I planted some small zinnias in the pot with my celosia and it is popping up. 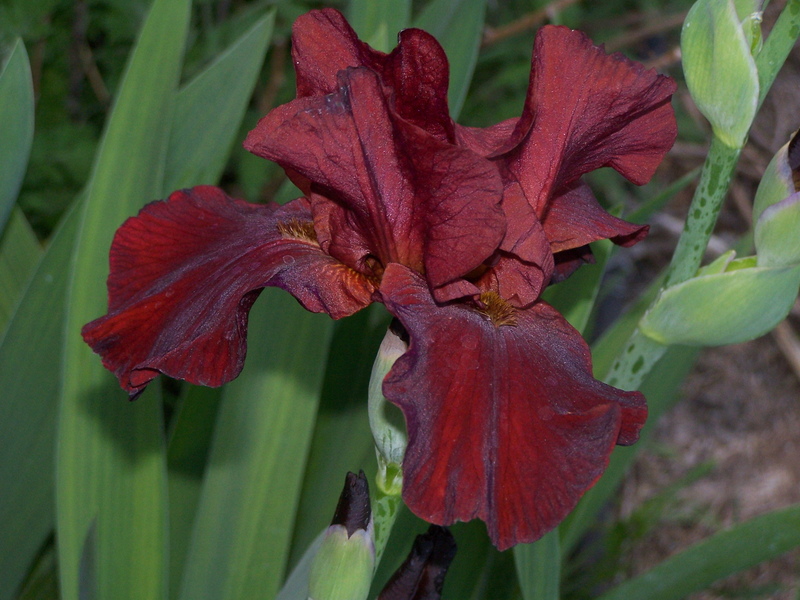 These are another variety of iris, from my backyard. 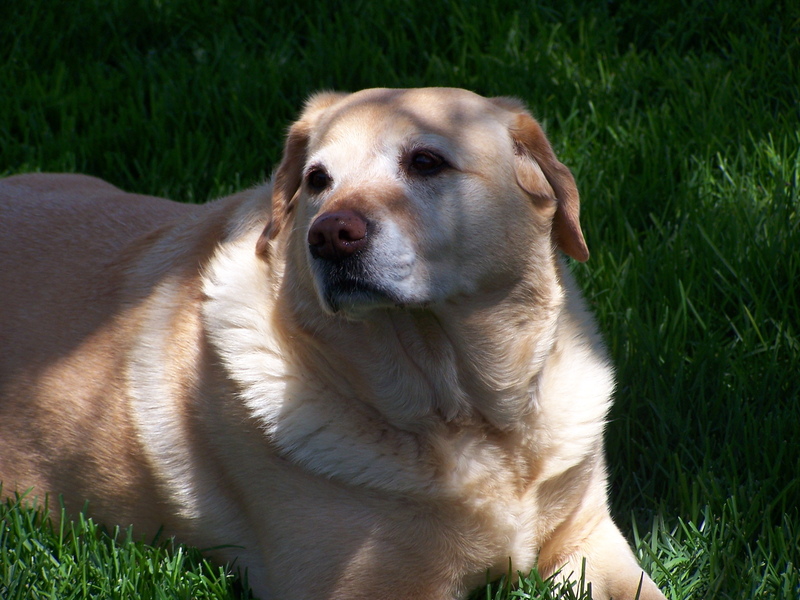 And a couple pics of my sweet Libby girl, enjoying a nice day in the grass. She & I have been walking together, as we both need to shed those extra pounds. Well, not the most interesting post, but I figure it’s better than coming to visit and seeing the same thing you’ve seen since Saturday…lol. Hope the rest of your week is wonderful. 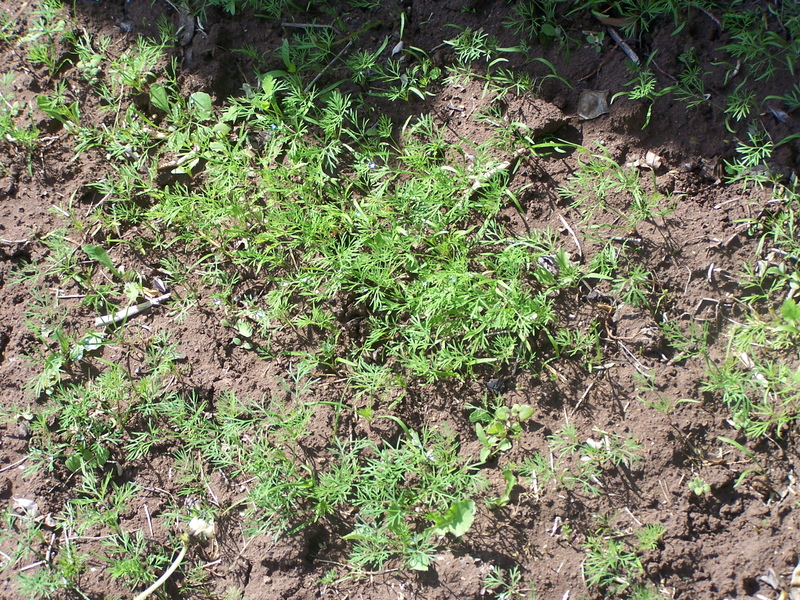 Good to see your garden is coming right along, I have still got to get finished with my planting. As soon as I started the other day it started to rain. I have to agree about the log cabin quilts, I hardly ever see one I don’t like. It looks like the garden is going great!!! Love the catepillars!!!! Have a safe trip!!!! 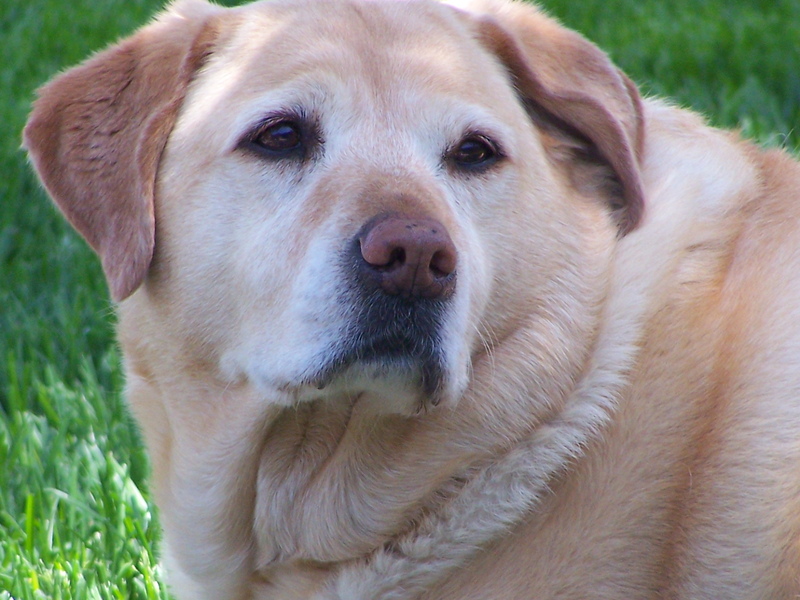 And that Libby is a cutie!! 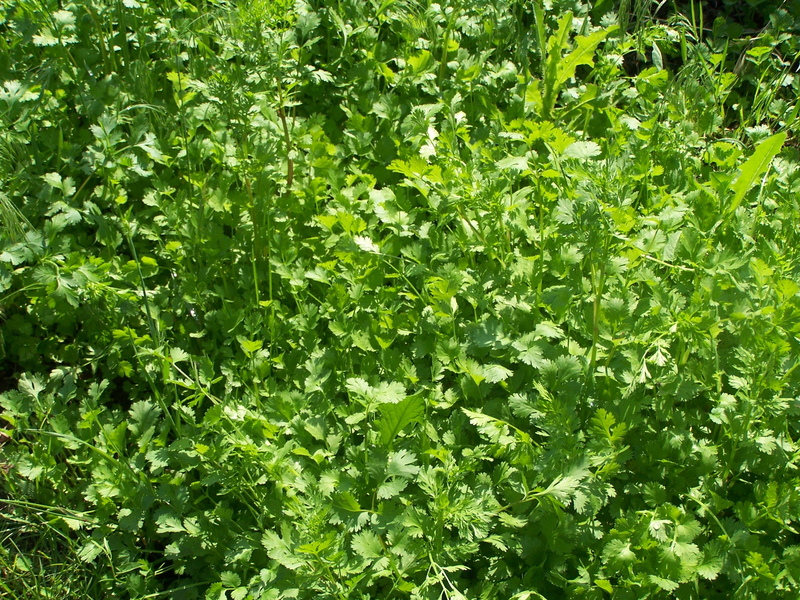 Everything looks so vigorous and healthy! 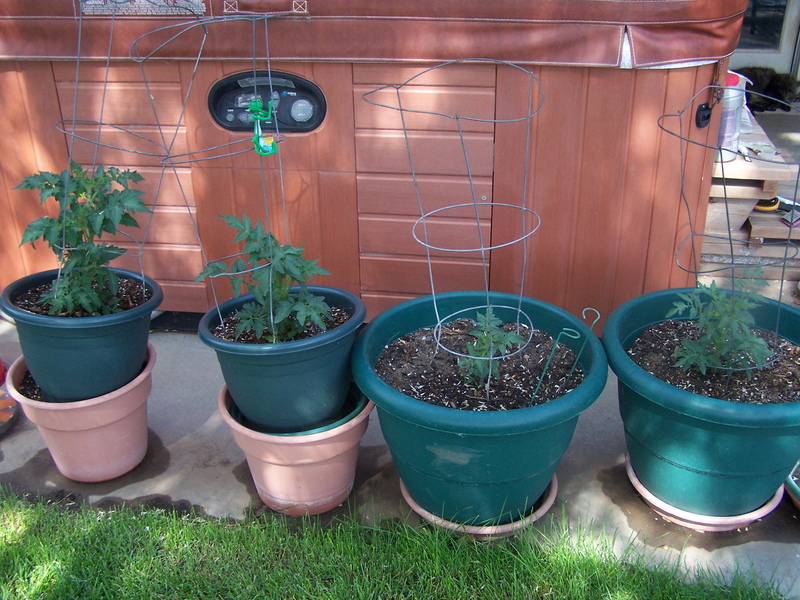 My tomato plants are just a few inches high and no where near to having fruits. I hope the rest of the week goes well for you! The garden looks wonderful. Libby is a doll. Looks about the same as as my lab. Can’t wait to see more of the log cabin…have to agree…they are great and so fun to make! Thank you for the lovely garden and explanation of all things “green”. Love this time of year in the garden. Good garden with a good dog. About perfect. Thanks for sharing your delightful pics!! 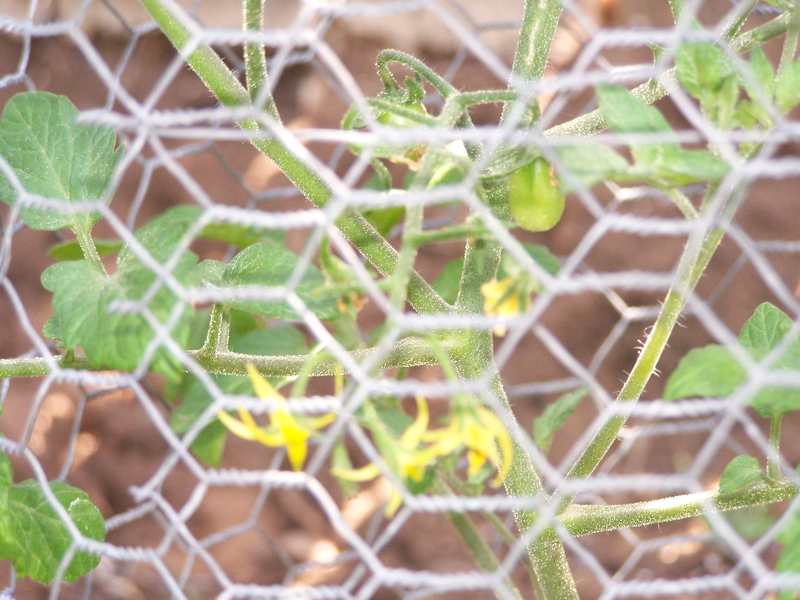 Love them and your garden! 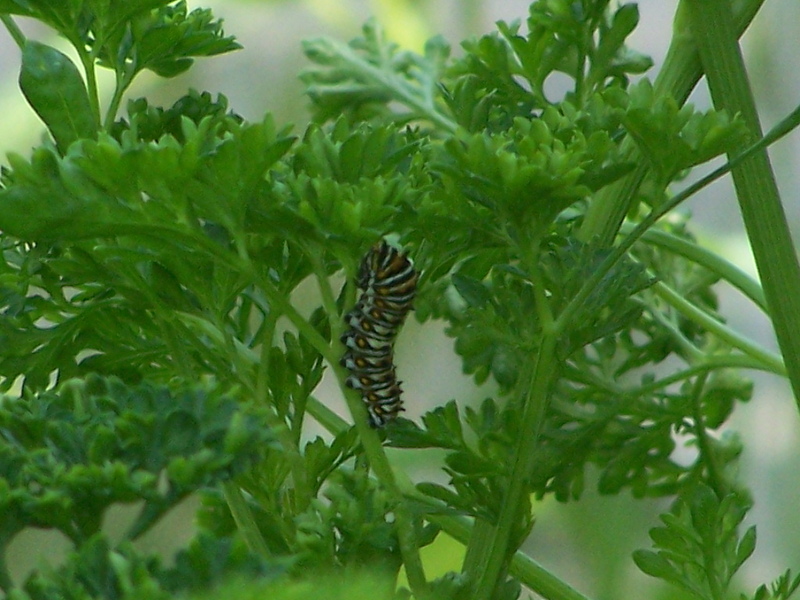 I wonder If the cats on your parsley are the same ones that eat my Dill every year? I love butterfly’s but darn it I need that dill for my pickles! 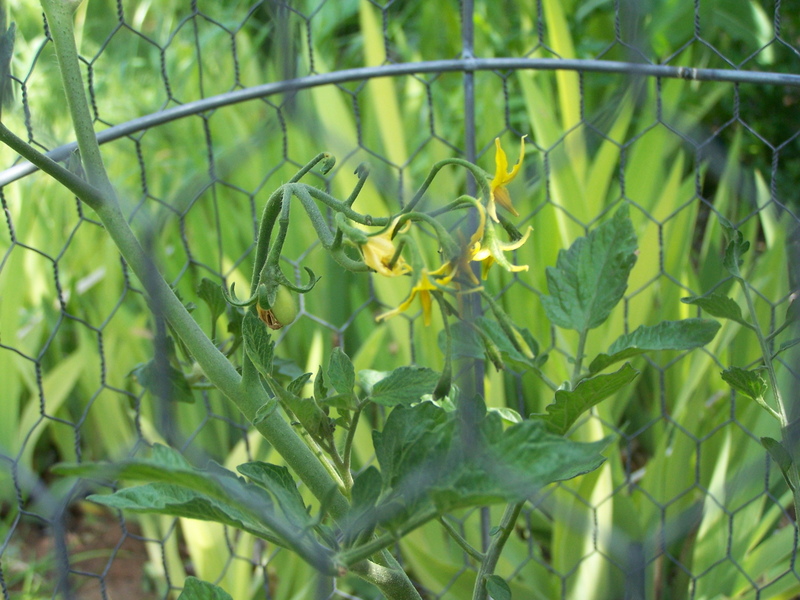 This past weakened was the first time we were able to get the garden. we did some things planted, beans, corn and such before it rained again last night and this morning.